With its 32mm slimline stainless steel case and bezel, the Oxygen watch is simply exquisite. Housed underneath protective mineral glass is the sophisticated dark grey sunray dial and two sub-dials which demonstrate a 24 hour clock display and the date. Simplistic silver stick hands complete this striking dial. 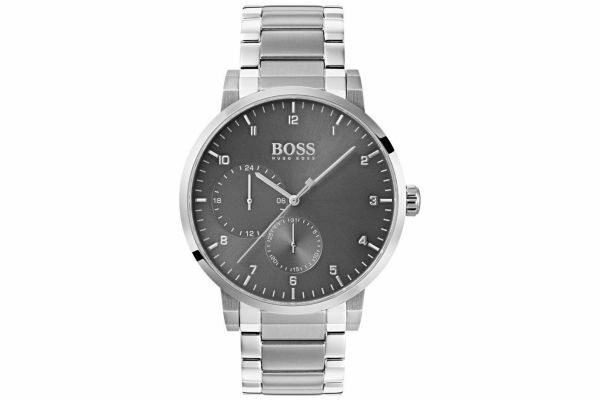 Set upon a classic three link stainless steel bracelet with brushed centre links, the Oxygen watch fastens with a secure fold over closure with push putton release. 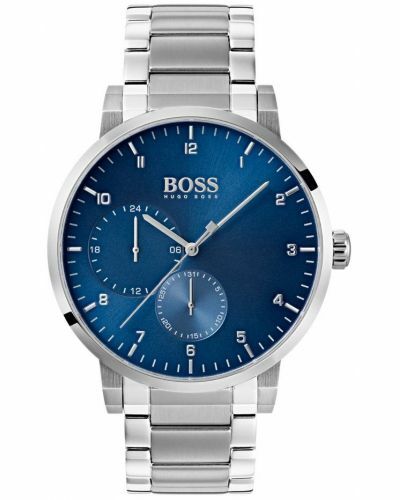 Powered by Quartz movement and water resistant up to 30 meters this alluring watch comes complete with a two year guarantee and offical Hugo Boss packaging. 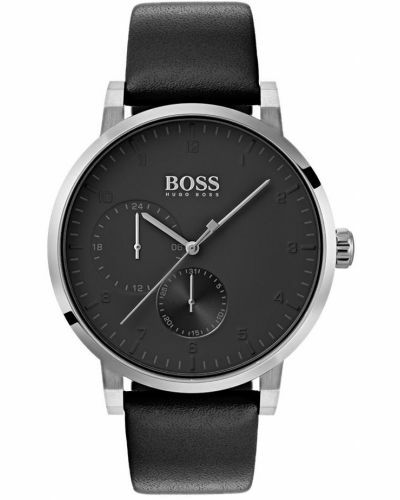 For us to size your new Hugo Boss Oxygen watch as accurately as possible, please take a look at our downloadable Watch Sizing Guide.